These beautiful Bengal kittens are currently under evaluation but may be available soon! If you would like to be added to our notification list please let me know! Kuvera is our brown marble male. He will be a pretty big guy from the looks of it! 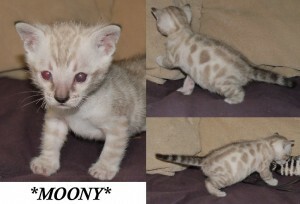 Moony is also a male and will be a large rosetted silver seal lynx point. Lynx kitten’s coloration darkens with age. His rosetting will be MUCH darker as an adult. 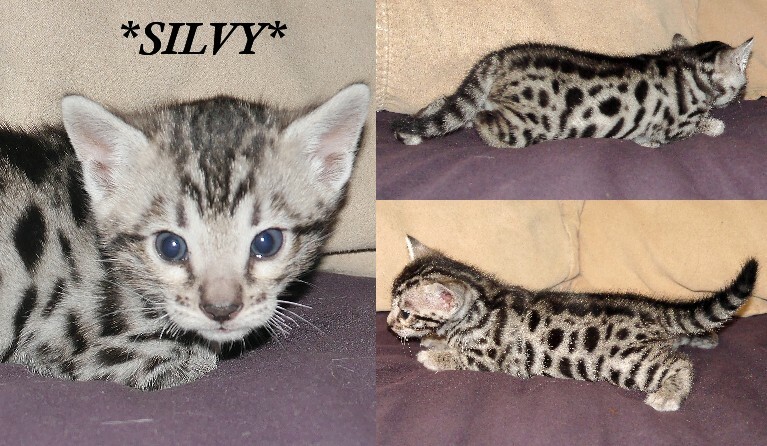 Last but not least is our little Silvy. Silvy is our very wild looking little girl. 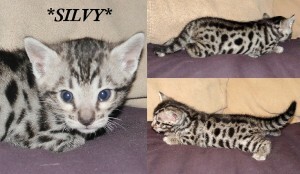 Silvy is a rosetted silver Bengal kitten with great color and contrast! All of these babies will have mom’s great personality. 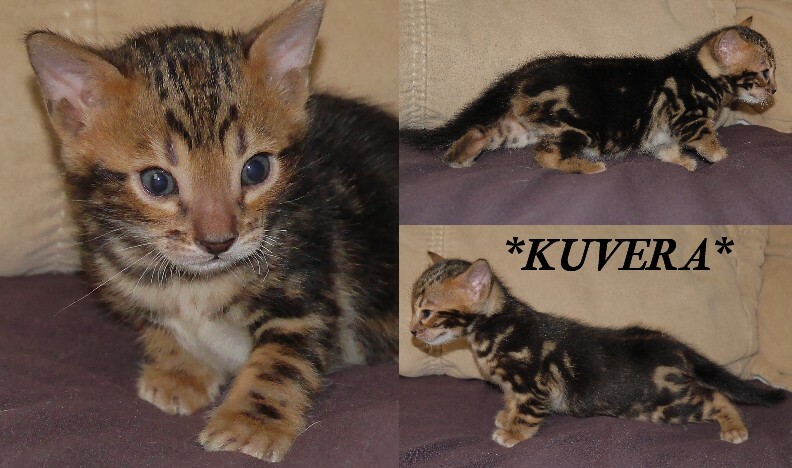 A few will most likely make the grade as show and/or breeder quality Bengal kittens. We are so excited to watch their development! 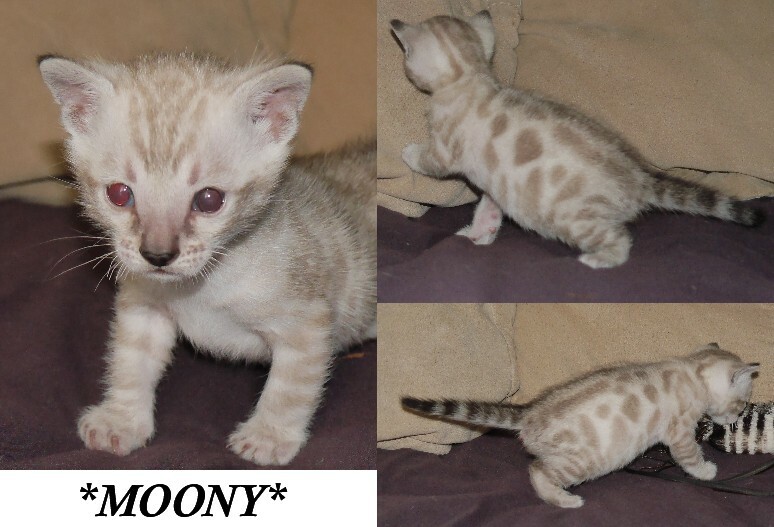 This entry was posted in Bengal Kitten Gallery, Gallery and tagged Bengal, Bengal kitten, Bengal kittens available, Bengal kittens for sale, Brown, brown rosetted, seal lynx bengal, seal lynx bengal kittens, silver bengal, silver seal lynx bengal cat, silver seal lynx bengal kittens. Bookmark the permalink. ← DOB 6-6-14, New Bengal Babies Are Here (:!